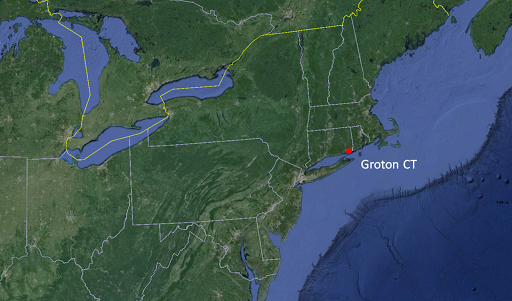 In January, 1959, the Naval Security Group Detachment (NSGD), Groton was established. Ten months later, in October, the Naval Security Group designated its first Special Assistant for Naval Security Group matters and assigned him additional duty as Officer in Charge, Naval Security Group Detachment, Commander Submarine Force, U.S. Atlantic Fleet. One year later, the Chief of Naval Operations designated that position as Officer in Charge, Naval Detachment and Director of Intelligence Special Security Officer for Deputy Commander Submarine Force, U.S. Atlantic Fleet. 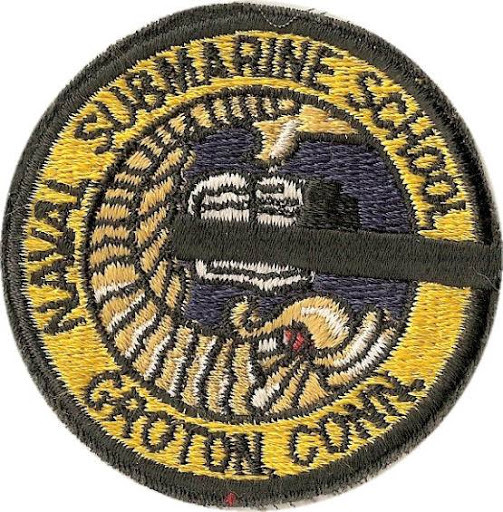 In October 1972, the Detachment was designated Naval Security Group Detachment Groton under the command of Commander, Naval Security Group Command. The Detachment was commissioned a Naval Security Group Activity (NSGA) on May 1, 1980. The official recommissioning date recorded in NAVSECGRU records was October, 1, 1980. NSGA Groton was re-established as NSG Detachment Groton in July, 2005. On September 30, 2005, NSG Det Groton was administratively closed and was re-established on October 1, 2005 as the Navy Information Operations Detachment (NIOD) Groton, CT. NIOD Groton provides cryptologic direct support systems suite installations and removal evolutions, maintenance, and personnel augmentation support to U.S. Atlantic Fleet submarines. 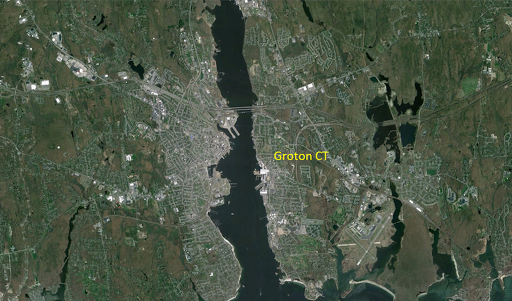 On the east bank of the Thames River near Groton, CT, New London Naval Submarine Base was the birthplace of the submarine force. It was originally a Navy yard, converted to a submarine base in 1916, and greatly expanded in World War II. The advent of nuclear power required an improvement in training and support facilities. By 1959, New London had become the largest submarine base in the world with 8,210 active personnel. In 1969, the base also took on logistical and training responsibilities for fleet ballistic missile submarines. In 1974, the Naval Submarine Support Activity was established. By 1979, the base supported the new Los Angeles and Ohio class submarines. Major units included Supervisor of Shipbuilding, Conversion and Repair, and Naval Submarine Support Facility. The base was recommended for closure by the DoD in the 2005 BRAC recommendations. In 1868, Connecticut gave the Navy land and, in 1872, two brick buildings and a “T” shaped pier were built and officially declared a Navy Yard. This new yard was primarily used as a coaling station by Atlantic Fleet small craft. On October 13, 1915, the monitor Ozark, A tender and 4 submarines that accompanied her arrived at SUBASE. Future submarines and tenders followed and in 1916 the Navy established it as a submarine base. Following World War I the Navy established schools and training facilities at the SUBASE. All submariners in today’s Navy are stationed at Naval Submarine Base New London (SUBASE NLON) for training and perhaps a tour onboard a fast attack submarine or with a pre-commissioning crew while their new submarine is under construction. SUBASE NLON is home to more than 40 tenant commands including the submarines and crews of Submarine Group Two, the faculty and students of the Submarine School, and the Naval Submarine Support Facility (NSSF). The base supports twenty one attack submarines and the Navy’s nuclear research deep submersible NR-1. The base occupies approximately 500 acres and has over 400 buildings, with the housing and support facilities for 10,000 active duty and civilian workers and their families. The Base Realignment and Closure commission of 2005 recommended closing the Naval Submarine Base at New London, CT. The commission also recommended relocating the assigned submarines, along with their dedicated personnel, equipment and support, to Submarine Base Kings Bay, GA and Naval Station Norfolk, VA. In addition, it recommended consolidation of the Naval Security Group Activity Groton, CT, with Naval Security Group Activity Norfolk, VA, at Naval Station Norfolk, VA.
NSG Det, NSGA and NIOD Groton were/are located on board the Naval Submarine Base New London in Groton, Connecticut, in Building 106 on lower base just inside Gate 8.